Chiwan Choi is a poet, writer and publisher. He is the author of three full length books of poetry – The Flood (Tia Chucha Press, 2010), Abductions (Writ Large Press, 2012), and The Yellow House (CCM, 2017) – and multiple poetry chapbooks, including Time Out of Space and lo/fidelity lovesongs. He wrote, presented, and destroyed the novel Ghostmaker throughout the course of 2015, as part of his ongoing examination on the meaning of a book, with the audience tasked in recreating a work that has disappeared and in turn creating a new version of a book that never really existed. 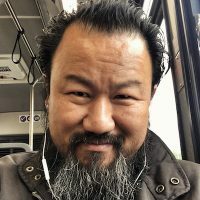 Chiwan has published his poetry, fiction and essays in numerous journals and magazines, including The New York Times Magazine, Poem-A-Day, ONTHEBUS, Entropy, cream city review, Mud City Journal, Angel City Review, chaparral, Twelfth House, Spiral Orb, Zocalo Public Square, Esquire, Maura Magazine. Chiwan has been the subject of features on KCET, LA Weekly, Cosmonaut Magazine and OTHRPPL. He was even a librettist for the opera Songs and Dances of Imaginary Lands, produced by Overtone Industries. He is Editor of Cultural Weekly and founding board member of the non-profit Next Echo Foundation. Chiwan splits his time between Pittsburgh and Los Angeles. Janice Lee is a Korean-American writer, artist, and editor. She writes about the filmic long take, slowness, interspecies communication, plants & personhood, the apocalypse, architectural spaces, inherited trauma, and the concept of han in Korean culture, and asks the question, how do we hold space open while maintaining intimacy? She is the author of KEROTAKIS (Dog Horn Press, 2010), Daughter (Jaded Ibis, 2011), Damnation (Penny-Ante Editions, 2013), Reconsolidation (Penny-Ante Editions, 2015), and The Sky Isn’t Blue (Civil Coping Mechanisms, 2016). She also has several chapbooks Red Trees, Fried Chicken Dinner (Insert Blanc Press), The Other Worlds (eohippus labs), and The Transparent As Witness (Solar Luxuriance), a collaboration with Will Alexander. She is Founder & Executive Editor of Entropy, Co-Publisher at Civil Coping Mechanisms, Contributing Editor at Fanzine, and Co-Founder of The Accomplices LLC. She is currently an Assistant Professor of Fiction at Portland State University. She can be found online at http://janicel.com and Twitter: @diddioz. Michael J Seidlinger is a Filipino American author of a number of books including Dreams of Being, My Pet Serial Killer, and The Fun We’ve Had. 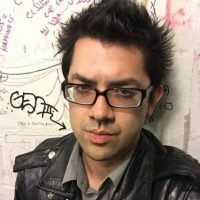 He serves as Library and Academic Marketing Manager at Melville House, Editor-at-Large for Electric Literature, Co-Publisher at Civil Coping Mechanisms, and is a member of The Accomplices. He lives in Brooklyn, New York, where he never sleeps and is forever searching for the next best cup of coffee. Find him online on Facebook, Twitter (@mjseidlinger), Instagram (@michaelseidlinger) and his website. Peter has contributed over a decade of service as a one of LA’s most prolific producers, with events ranging from music and culture to education and literary arts, and in a wide range of unique venues— from guerilla spaces such as auto body shops and lofts, to renowned galleries, exquisite locations, and large format venues. 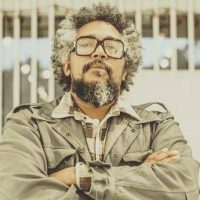 His productions reflect a need to address the shortage of creative events accessible to the community as displayed by his continued work with his own Quality Collective, a grass roots movement created in 2000 with a manifesto to create alternative stages, increase artist visibility and offer free art to the public. He also serves as the Event Director of The Last Bookstore in downtown LA. In the short time he has been there, the venue has become a cultural and events hub, having moved from a small 1,000 square foot storefront on Main Street, to an 18,000 square foot flagship building in the Spring Arts Tower with accolades from the LA Times and a Flavorwire listing as one of the 20 Most Beautiful Bookstores in the World. After executive producing a sold-out run of A Record of Light by Jesse Bliss at The Last Bookstore, Peter joined forces with the 501c3 non-profit theatre company, The Roots and Wings Project, bringing his experience and expertise to the role of Development Director. Perhaps these endeavors are due to the influence imparted on Peter at an early age from his grandfather, Harold L. Patton, stage manager for Ray Charles and owner of the largest collection of Black literature in the United States. Esa Grigsby (Assistant Editor) is a graduate of PSU’s M.A. in book publishing with a concentration in book editing and design. 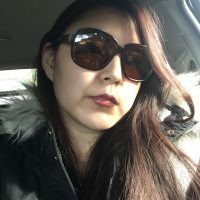 She currently works as a freelance developmental editor in Portland, OR ,and as an assistant coordinator for Lynch Wood Elementary’s Native American Youth and Family Center SUN program. 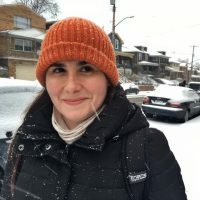 She’s the illustrator of the indie children’s book The Tree Talks Back and is currently working on a second one, an ebook illustrated with gif animations. You can find her at esagrigsby.com or on instagram: @esagrigsby or (if you like gifs) @frumpygifs.